Kristiane Sherry joined The Spirits Business as editor in July last year. We caught up with her to find out how she managed the transition from Frontier, a specialist travel retail trade magazine, to covering the global spirits industry. Having joined The Spirits Business last year, what have been the biggest challenges for you, moving from a travel retail trade magazine to reporting specifically on the spirits industry? I think getting up to speed with the incredible creativity and diversity of the on-trade was the biggest – but equally most fun – challenge. I developed a real passion for spirits while at Frontier so the business mechanics, who owns which brand, general category dynamics and obviously travel retail side of things felt quite familiar. But I was not prepared for the sheer artistry that surrounds cocktails – I’d always drunk them, but I’d never appreciated the immense work and dedication from the people in the bars serving them. 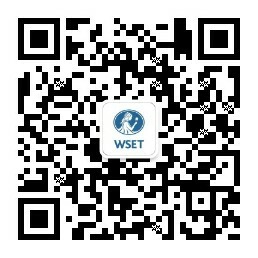 You recently gained an impressive distinction in the WSET Level 2 Award in Spirits. What lead you to take the course and what did you enjoy most about it? I’m an absolute geek and love learning about things so the structured teaching environment really suited me. Most of my product knowledge while at Frontier had come from brands themselves, either on press trips or from brand ambassadors in airports, so it was refreshing to fill in the gaps and learn the real details of spirits production in a completely neutral setting. The other students on the Level 2 Award in Spirits course were great, too – people hailed from all corners of the spirits industry, so there was always someone’s experience to draw on, too. Also, I’d never delved into the fundamentals of distillation before, I think the experience will give me a lot more confidence in my knowledge going forward. The Spirits Business host numerous spirits tastings and competitions; do you feel there is a need for a more systematic way to taste spirits as exists for wine? In my experience, whether through work or as an interested consumer, you are always told that there’s ‘no wrong answer’ when it comes to tasting, and that everyone’s palate is different. While I absolutely hold that to be true, in a professional setting there does need to be more of a shared language when it comes to discussing the quality of a product, and why someone thinks a given spirit is outstanding – or not. It’s not really going to help anyone else if you nose a whisky and find it startlingly reminiscent of a childhood walk through a field of wildflowers, if the people you are tasting with grew up in a city and won’t be able to pinpoint what you mean by that reference. What do you think the main value of spirits competitions is, and who do they benefit most, brands or consumers? I think well-run blind, impartial and robust spirits competitions can benefit the consumer as they provide a quality benchmark. That said, everyone’s palates are their own, and there’s every chance someone might loathe a Master-winning product and love one which didn’t do so well. Brands clearly benefit from receiving a seal of approval from a group of industry experts, but I think in all instances there needs to be an understanding of why a product has been awarded a medal. If you’re drinking for enjoyment, personal preference has to be the best guide. What do you think are the greatest challenges facing spirits retailers and distillers? The biggest challenges to spirits retailers and distillers vary hugely depending on where you are in the world. If you’re a spirits consumer in the US and you love quirky, niche brands, I would be concerned by the consolidation going on in the distribution sector. Elsewhere I would say it’s a mix of making sure you stay relevant and appealing to consumers at a time when disposable incomes are being squeezed, and then finding a way to stand out from all the market noise – especially if you’re a gin brand! I was not prepared for the sheer artistry that surrounds cocktails – I’d always drunk them, but I’d never appreciated the immense work and dedication from the people in the bars serving them. Which Spirits Business story were you most proud of in 2016? I don’t know if "proud" is the right term, but the stories I’ve felt most invested in have been the online pieces which expose the level of sexual assault and violence endemic in the on-trade, carried out not just against customers but most often female and gender non-conforming bar staff, too. It’s a topic which is easy to shy away from, but as an industry there’s a lot more we could be doing to make going out and enjoying ourselves safer for everyone. There has been resurgence in the popularity of gin in the UK and British gin exports increased 37% from 2010-2015. Do you think this is set to continue, or are we ready for the next new trend? I recently researched a piece on 2017 bar trends and most industry people seemed to think gin fatigue would hit – and most likely is already a reality for bartenders – but consumers are still enthused about all things juniper. Tonics are the more interesting side of the equation for me. Consumers seem to have got a real taste for it, and the potential to mix good tonic waters with other categories – Sherry, Tequila, Mezcal – is enormous. But, as many people will be aware, the Wine & Spirit Trade Association reported that more than £1 billion was spent on gin in 2016 in the UK alone – that level of interest isn’t just going to go away. Consumers will start to get more savvy and I think it will be the local interest gins – say, your local distillery – and those with a real, meaningful point of difference which will stand out. I’m not sure about those playing the off-the-chart quirky card – if a gin brand’s point of difference isn’t authentic, I don’t think it will stand the test of time. A widely held perception of the spirits industry is that it is still dominated by men. In your experience is this an accurate representation, or is the stereotype being shattered? There are certainly more women in the industry now – the question is, how far are those women progressing in their careers, and how much is systemic sexism holding us back? Whenever I get a press release and it’s either for a product targeted at men or women, or it lazily uses ‘masculine’ or ‘feminine’ as a flavour or aroma descriptor, I think the person who signed that off does not have a gender-diverse enough team. Or, if I go to a high-end hotel bar, and I see an all-male staff behind the bar and female floor staff, I consider if the establishment is playing into the stereotype that women are only there to serve. Some progress has been made for sure, but until there are more women and people of colour at senior levels throughout the entire sector – bars, brands, distributors, retailers – we need to ask why and push for more genuine diversity.